Aidan lifts left arm overhead! Very exciting! He’s been doing this consistently for a few weeks. He used to hold his left arm curled up against his chest. This is brand-new. I’ve never seen him lift the left arm past his shoulder. Aidan jumps independently in water! Aidan had a bit of a setback last summer, he fractured his tibia. It wasn’t a full fracture, he just a couple of small chips off the bone but its still called a fracture. He couldn’t weight bear and at first, recovery was slow. We went back to the pool and he immediately improved. We have been going to the poo all winter with good results. Here is a short video clip showing him jumping up independently in the pool. Still going strong. Aidan’s video has just over 60,000 views now. I can’t believe a year has gone by since I updated Aidan’s website. It has been a very busy year for our family. Carina started school last April and she is loving it. In the summer of 2016, I also started school — studying to become a Spiral Praxis practitioner. Spiral Praxis is a new paradigm in the field of somatics and its the therapy Aidan has been doing for the last few years. Its a set of techniques designed to accelerate learning. The techniques can be used on anything from yoga to climbing to learning music. A really amazing tool set that can literally change lives. Check it out. 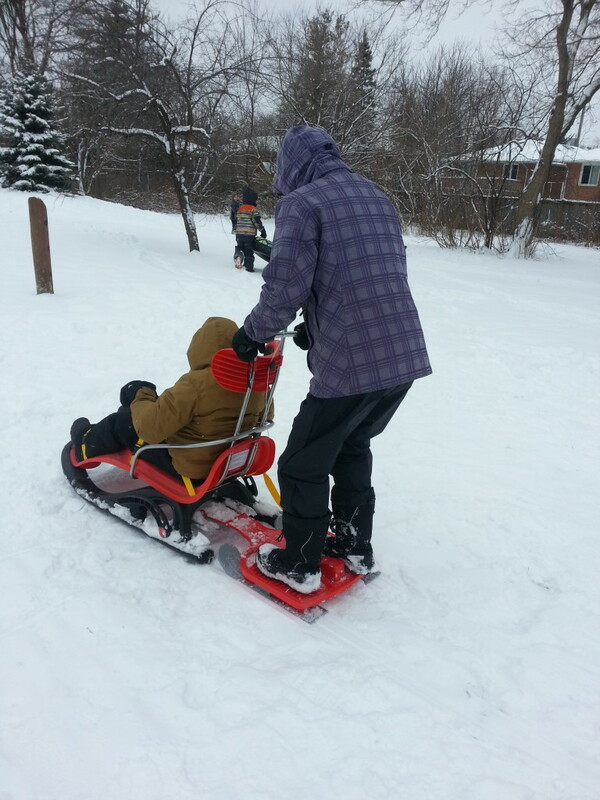 Aidan had a real blast sledding down this little hill. Well it finally snowed! Hurray! 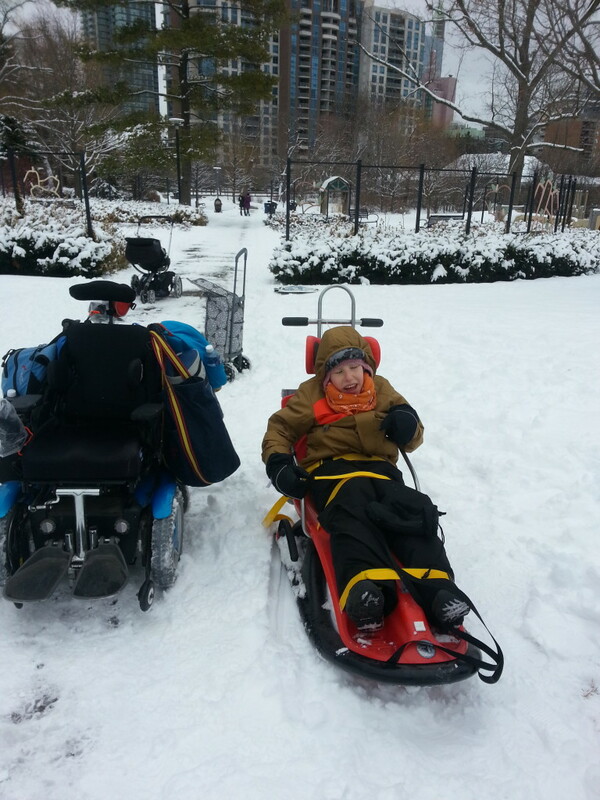 Aidan got to try out his new sled. 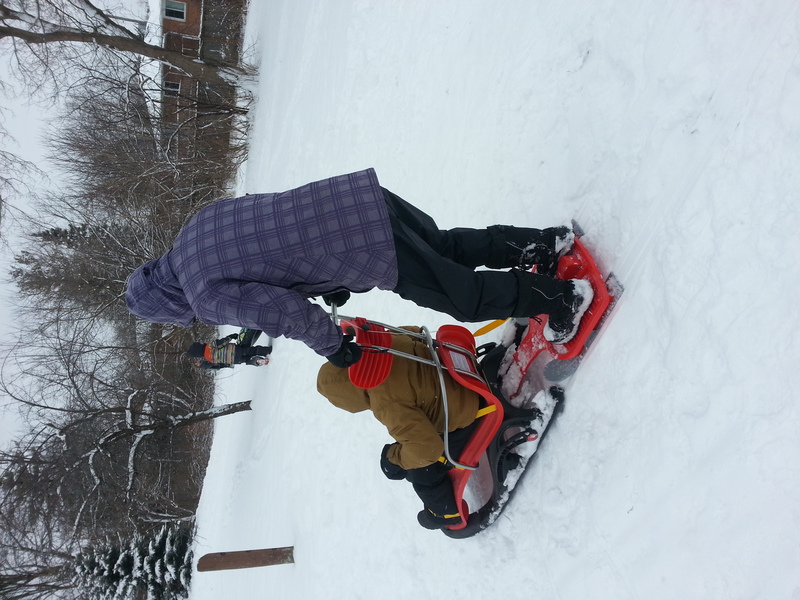 We tested it on a small hill where a bunch of kids were sledding. 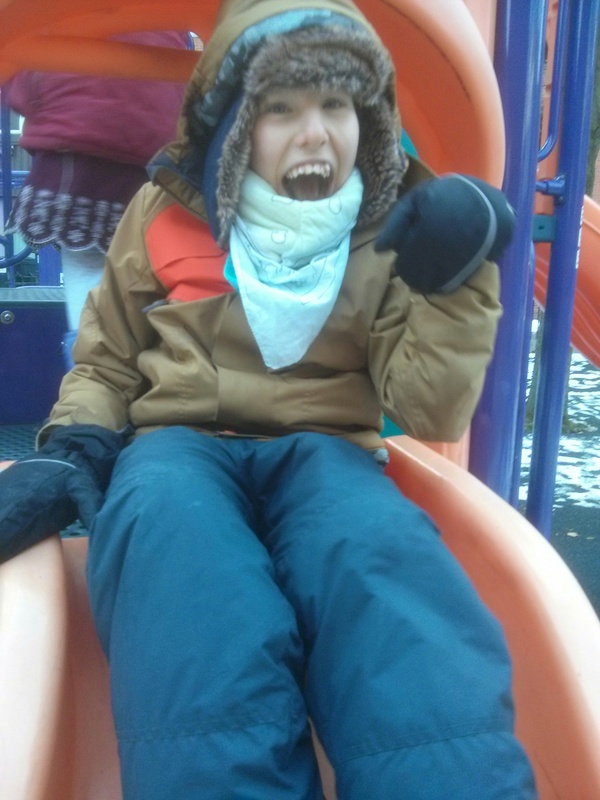 Aidan had a blast! We went to the Science Centre on the weekend. They had a big tank of bubbles there. Very fun! Aidan loves the Science Centre. Its big and very accessible. They have the most wheelchair accessible washrooms I’ve seen anywhere. He likes to drive his chair around and choose his own activities. 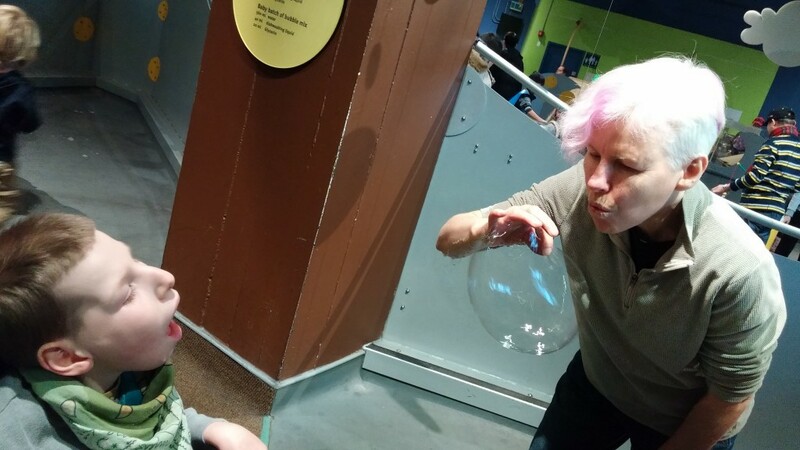 At the Science Centre, he can do so just like any other child. 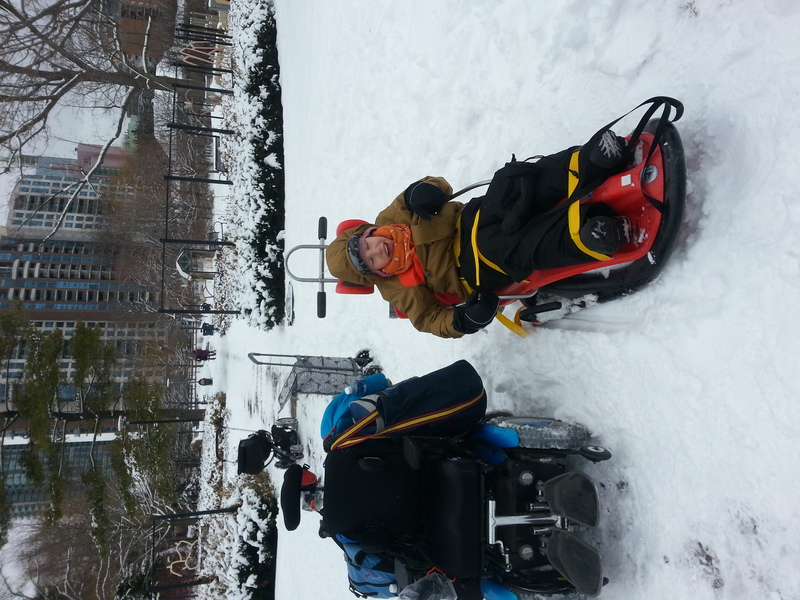 In his therapy, Aidan is now walking 1/4 of a mile – with support. They are walking him every session now to build his endurance. Very exciting stuff. Open Invitation to the pre-screening of Aidan’s Documentary! Aidan’s documentary is pre-screening on Sat. December 5th at the Spiral Movement Centre in Toronto. 6:00 – 7:30 PM. The film is about 50 minutes long and will be followed by a round table discussion. They are still editing and especially looking for feedback from Parents of Special Needs kids for the final cut. Refreshments will be served. Please pre-register. (link below). Aidan watched the other kids sliding on this ring then asked to try it to.